Integration with PrestaShop (Products), compatible with v1.6 and v1.7. Improved navigation by autocompletion. Module for autocompletion. Search beyond the box: improve the UX by browsing and suggestions. The indexer process is the heart of the extension. It crawls the site and processes the information to submit it to Algolia’s search engine. 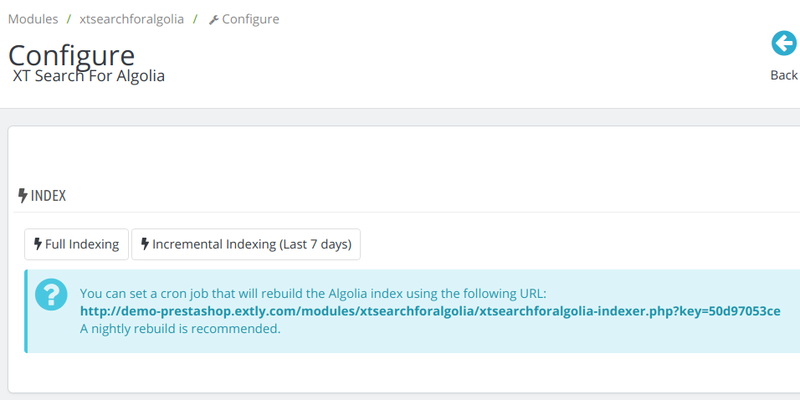 In our demo site, you can check how XT Search for Algolia on PrestaShop 1.7. Please, check it here in the demo site https://demo-prestashop.extly.com, where you can the sample dataset in five languages.